I know it’s not typically soup time, but I’m a soup fan all year round. There is seriously nothing like a warm bowl of soup to make you feel better. 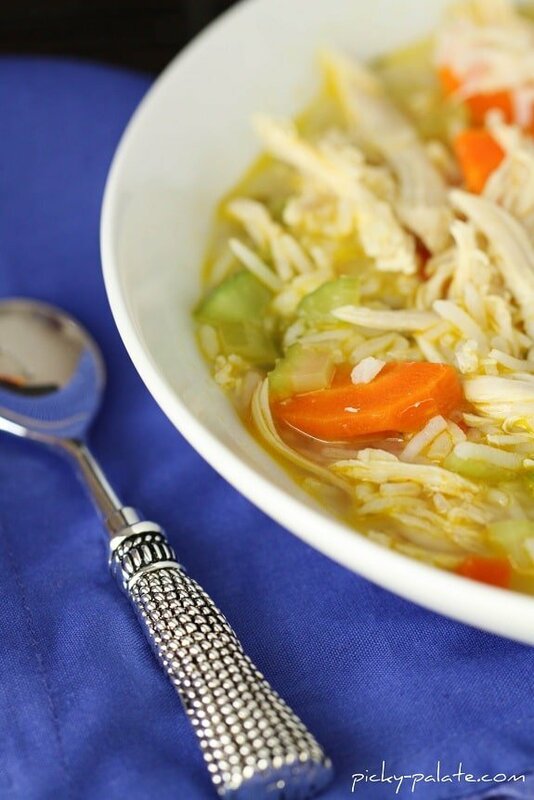 I love this recipe, it has all those comforting ingredients and I added some Ranch seasoning that really makes this soup extra delish! Everyone’s kids out for summer break? We’ve got a little over 2 weeks to go, I’m getting plans set for summer. Looking forward to hanging at the beach…..A LOT!! Hope you all enjoy a nice bowl of soup…..even if it’s boiling hot outside lol! 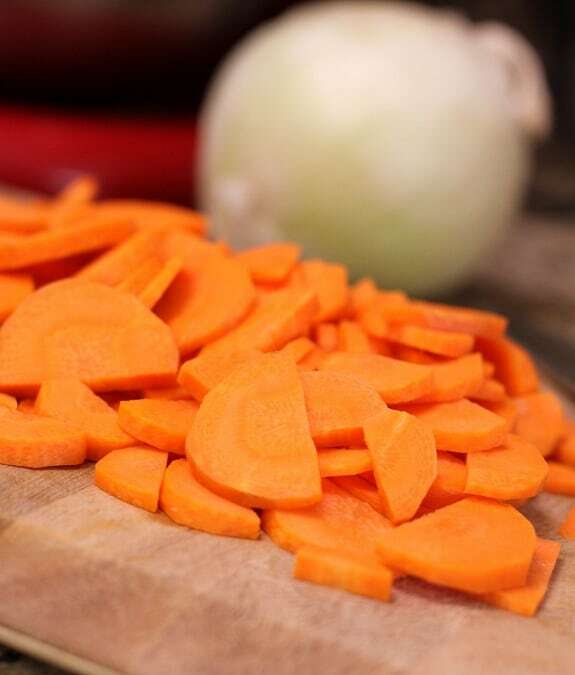 Break out your fresh carrots…. 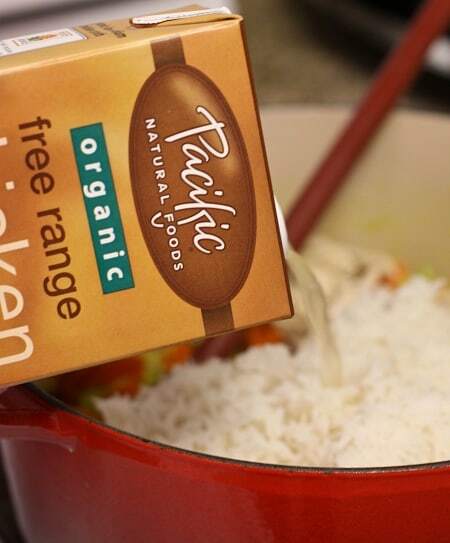 Pour in your chicken broth…. 1. Heat oil into a large dutch oven over medium heat. 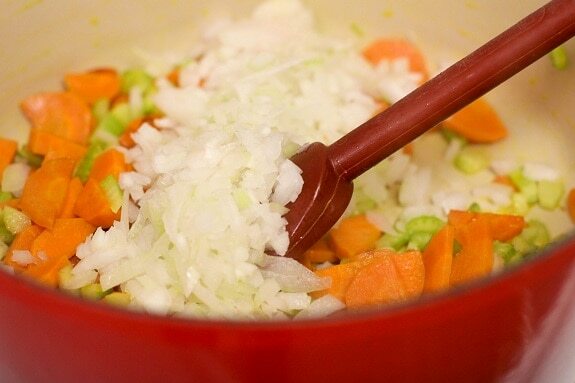 When hot, saute onion, carrots and celery for 7-10 minutes or until softened slightly. 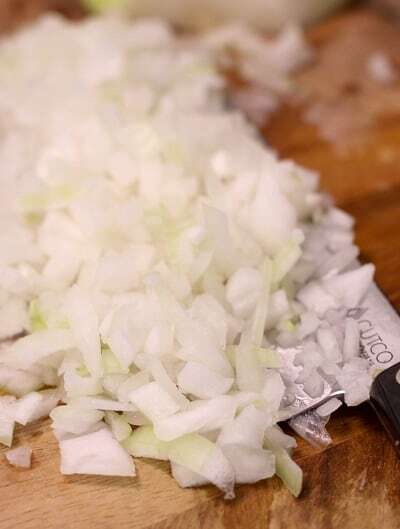 Stir in garlic and cook for 1 minute. 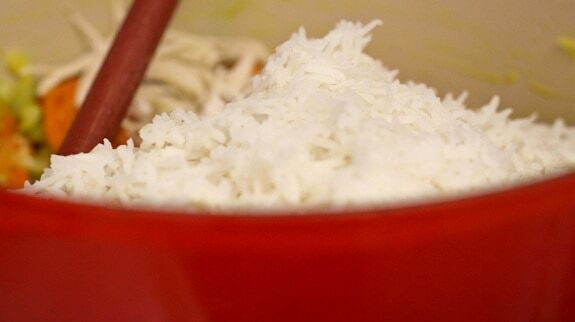 Stir in chicken breast and rice then pour in chicken broth. Stir, then season with ranch seasoning, salt, pepper and add in Dijon and hot sauce. 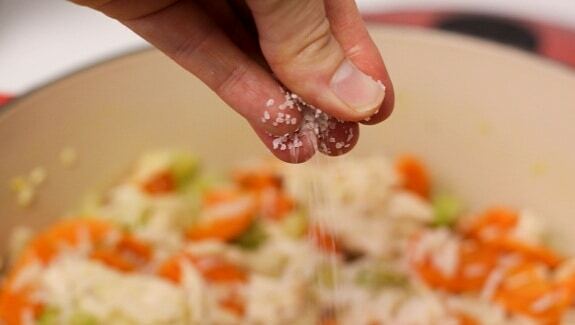 Reduce heat to low and simmer until serving. Taste and season accordingly. I want to make this for dinner! It sounds so fabulous. Yum! Looks great! I can’t go more than a week without eating soup…bring on the heat! I have to be honest with you..that is the best chicken soup I have ever seen! as always. your food sounds delicious and your photos, beautiful! Looks great, even on a hot summer day! Looks like a really satisfying soup! Nice touch adding the ranch dressing mix to it, too! Sounds yummy, but more like something I should be making here in Portland, OR because we have had weeks and weeks of rain! How is the weather in the OC? I grew up in Newport Beach and we’ll be staying on Balboa Island for the first few weeks of July. Sounds yummy!! I make chicken soup the same way, but have never added the Ranch. 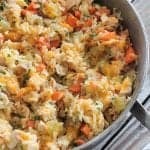 I think my famiy would thoroughly enjoy your recipe!! Thanks for sharing. 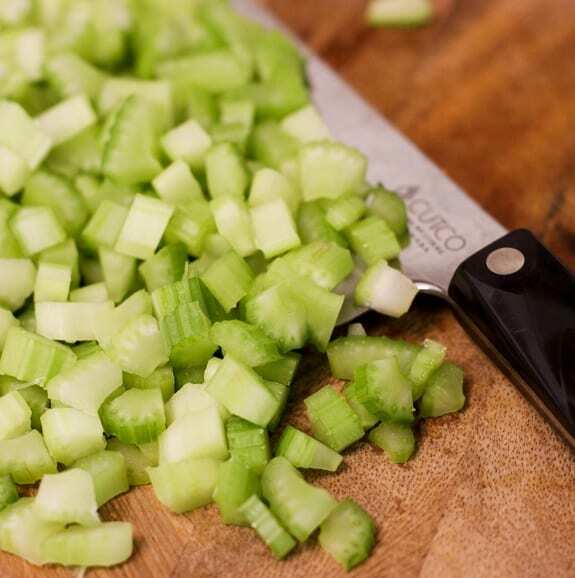 I’m with you – I eat soup all year round. It’s the perfect lunch, in my opinion! This soups looks like it’s packed full of flavor! What a great recipe! This sounds delicious! What a perfect bowl of soup! 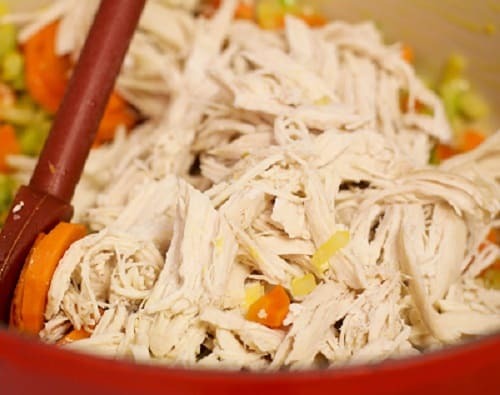 Chicken Soup is always a favorite and adding a TBL of Ranch dressing just takes the soup to a new level! I can hardly wait to make this one! It looks great! I could eat soup everyday, regardless of the weather. This looks so hearty, but light. Would love this for lunch or dinner today. Looks delicious! I love rice in soup! I made this for supper last night and my family loved it! Thanks for posting! Can’t beat a good bowl of chicken soup. I’m thinking that tub of ranch seasoning will show up in the dessert section soon. That sounds like such a warm, comfy meal! And how is it that I never knew ranch mix came in a little bottle like that? I need to pay more attention at the grocery store. I had no idea you could get ranch in those little jars. Very cool I’ll have to look for it. The soup looks great, but I can’t stop drooling over your silverware! Looks delicious Jenny. Would be perfect for here tonight – its wet, rainy and cold! The soup looks great, but I am really liking that SPOON!! I made this for dinner tonight and it’s soooo good! It’s a keeper for sure! 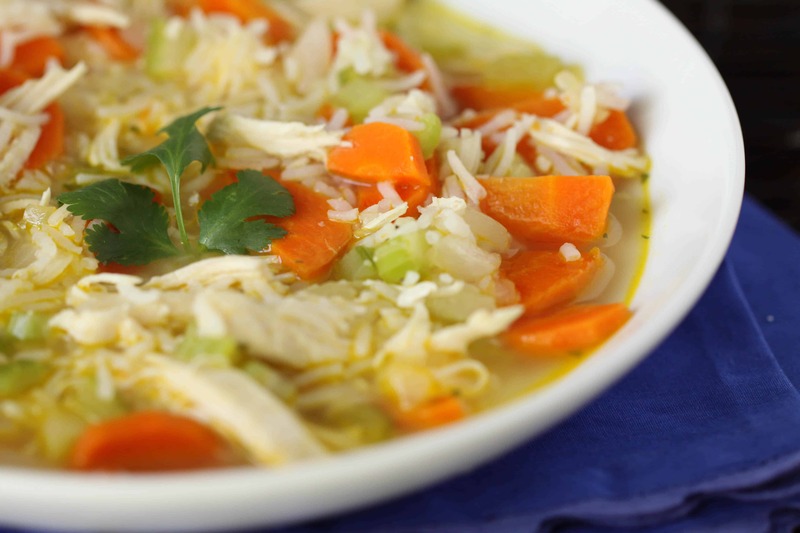 I had a craving for chicken noodle soup today and just happened to check your blog…. It was definitely meant to be that I made this recipe! While it wasn’t exactly chicken noodle soup it was DELICIOUS and just what I wanted! Thank you to post this today! I added an extra tbs of the ranch seasoning! I’m a soup person too! In fact I think I crave it even more during the summer than I do during the winter. You know, I think we have it right. In Thailand, where it is just “hot” and “hotter,” they eat soup ALL THE TIME. See, we’re just smart. 🙂 This looks delicious! I love rice in soup! I am just wondering where you found the ranch seasoning! I love that it comes in a jar like that and I have looked at a few stores and haven’t seen it!! Is it by the other ranch packets or in the season aisle? thank you!! I can hardly wait to try this recipe! My husband and I love to eat soup! We eat soup all year long … it could be 100 degrees outside, and we’ll be inside having a hot bowl of soup. I forgot to mention one other thing … how do you and Amanda stay so slim (fit) with all the fantastic food you were eating on your trip to see Rocco? The two of you are beautiful! This looks so wonderful I have bookmarked it everywhere so I won’t lose it! I made this last night for dinner, it was light and yummy! I just made this and I have to say I was worried about the Ranch flavoring but it’s surprisingly mild and adds a little something to this recipe. I think next time I’ll cut the dijon amount in half. I think it’s kind of overpowering. 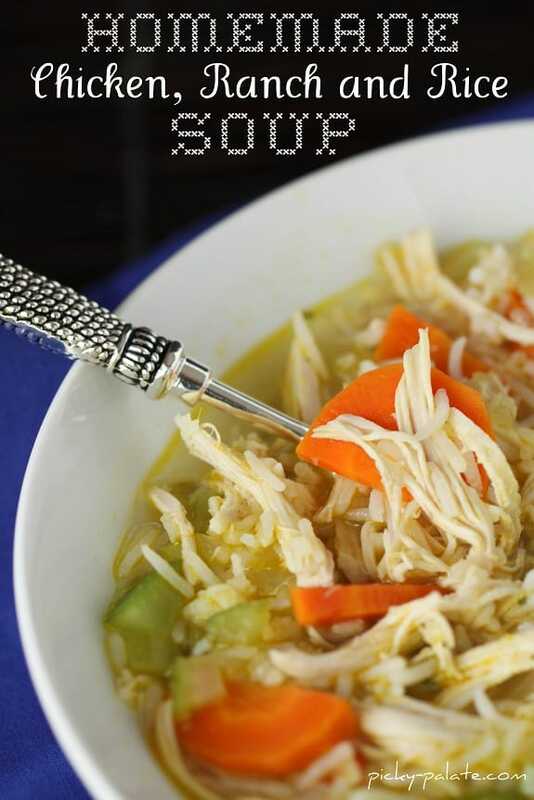 This is really great though and I plan to put this in my soup rotation and make it again. Thanks so much for sharing this recipe! Hi. Love your blog! I am so excited to make this!! Just wanted to know if this freezes ok? Oh my goodness…that looks amazing. It’s going on the menu next week for sure! Made this yesterday…it’s delicious and my kids even ate it! 🙂 Totally perfect for our sub-zero weather. Thanks! I made this soup and we all LOVED it! I used a rotisserie chicken instead, and it was wonderful! 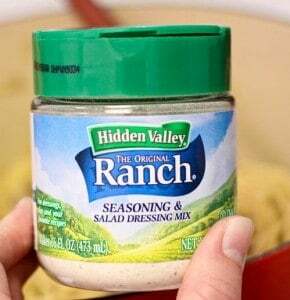 I love the ranch seasonsing — gave it just the perfect amount of zest! 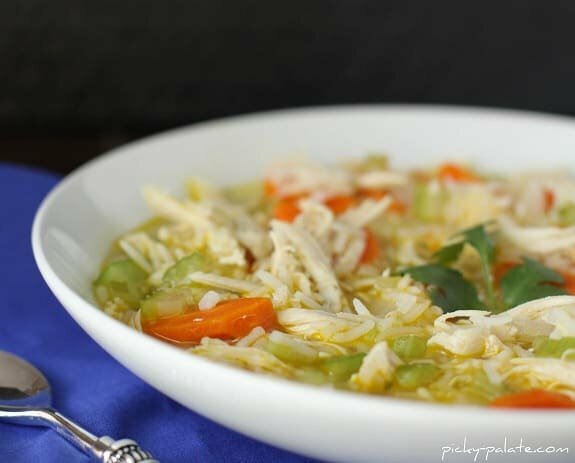 We loved this easy soup! Flavors are good and I like the change of rice in this from noodles.